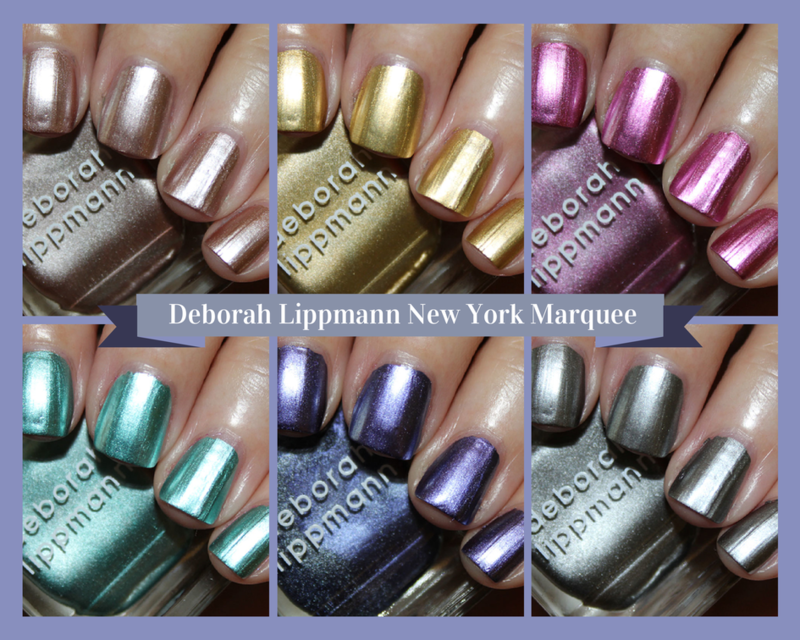 The Deborah Lippmann New York Marquee fall 2014 collection landed on my desk recently and I was really excited to try these out. 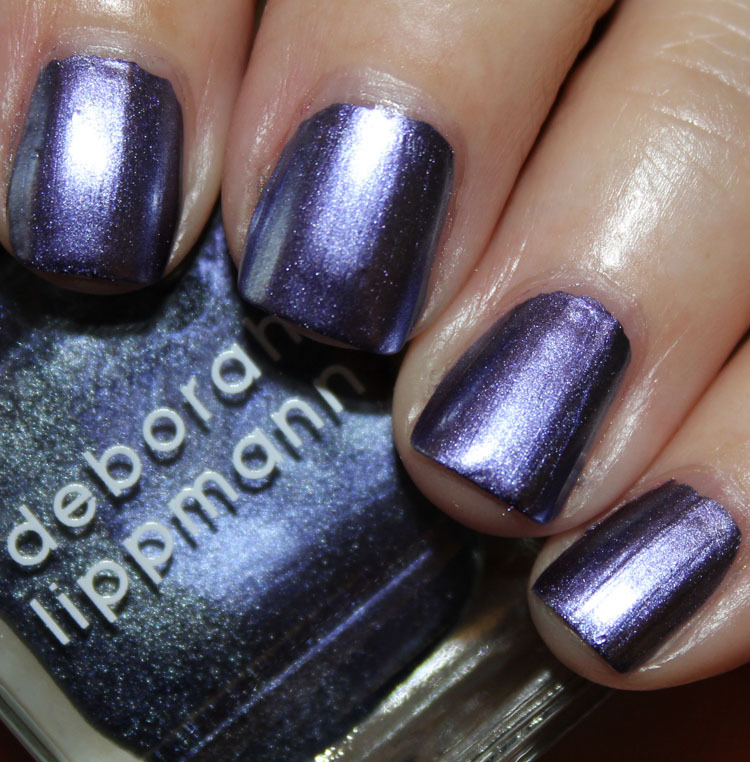 This collection is a nod to New York City, where Deborah Lippmann lives. Each shade was meant to reflect the sights, sounds and pulse of the city. 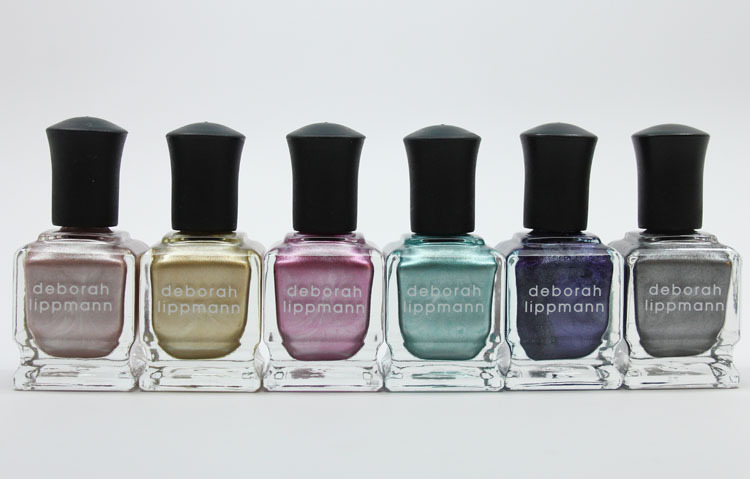 There are six new limited edition shades, all with a new luxe chrome finish. So there is good news and bad news. The good news is that nearly every shade here was only ONE COAT! The bad is, if you have any flaws on your nails, these highlight the hell out of them. I have some very ridged nails (and a dent on my pointer) and man, it’s not a pretty sight! Boo hoo. Lullaby of Broadway is a pale rose gold pink. This was one coat. Autumn in New York is a super amazing gold. This is my favorite one, despite how it makes my nails look! It’s so rich and beautiful. This was one coat. 12th Street Rag is a bright magenta pink. This was super saturated and pigmented. This was one coat. I’ll Take Manhattan is a medium green teal. This was one coat. Harlem Nocturne is a rich purple. 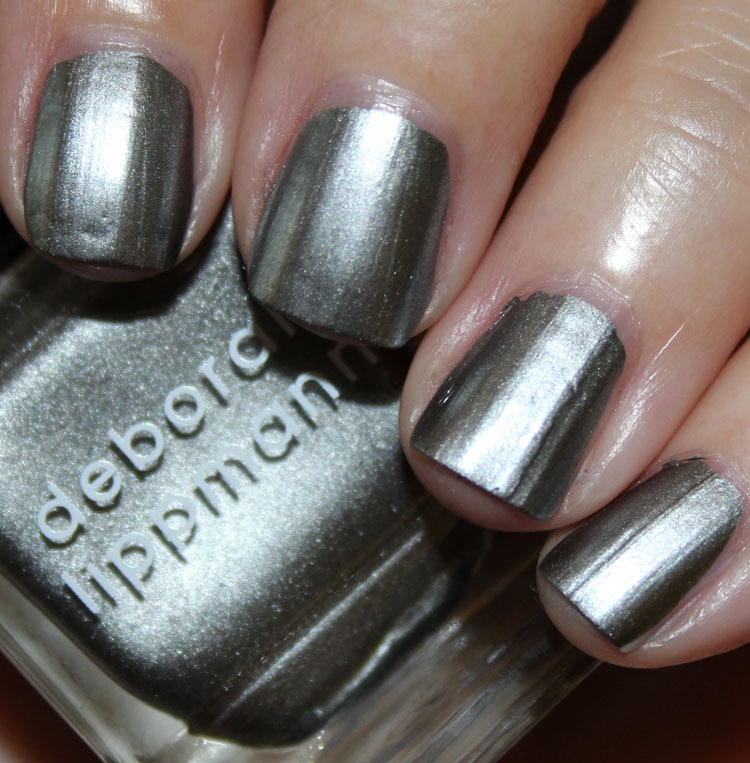 Interestingly this had less of a chrome finish and more of a metallic/shimmer. 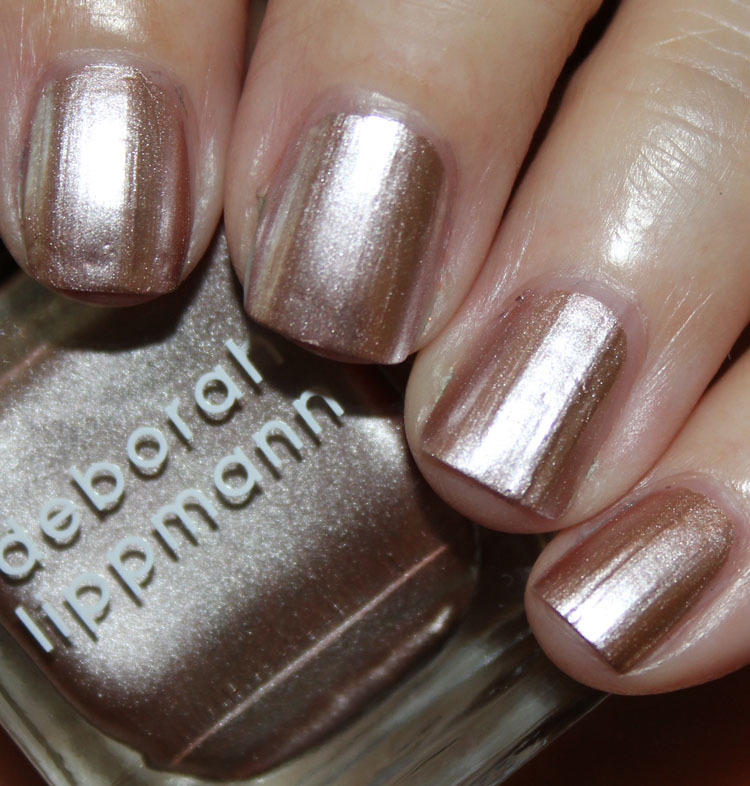 I think this was my favorite in terms of formula because it didn’t highlight all my nail flaws. This was two thin coats. Take the “A” Train is a deep pewter silver/grey. This was one coat. Aside from the finish which isn’t that nice on my nails, I think this is a great collection. I love that these have a really good formula and they mostly cover in just one coat. They are definitely SUPER chrome looking. I really love Autumn in New York because it’s such a rich gold and Harlem Nocturne, because it was creamier and smoother on me. 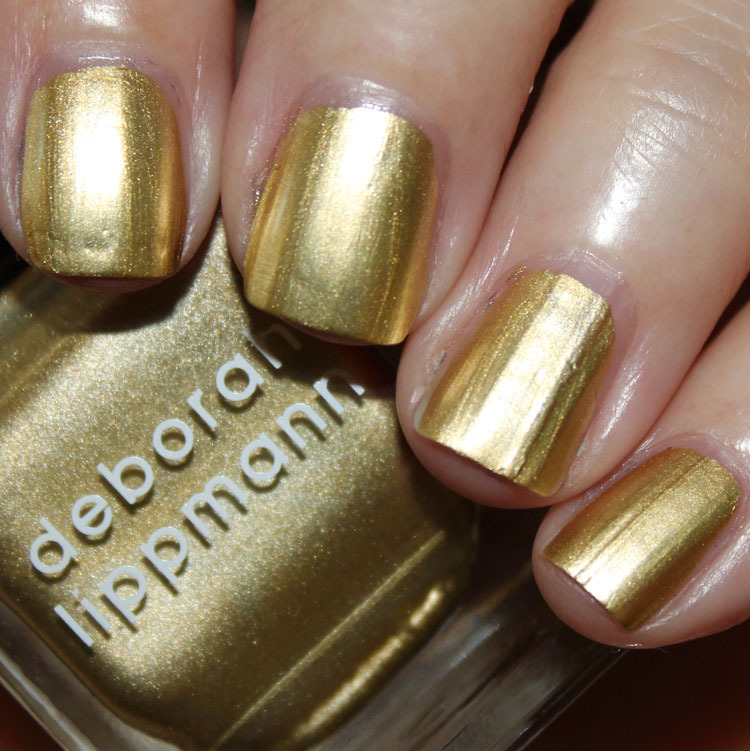 You can find these now at Sephora, Nordstrom, Neiman Marcus and Deborah Lippmann. Anything you are seeing here that you want to pick up?